Good morning, I hope you are managing to get to work and school without to much disruption and that the snow is now melting. I am busily planning my eldest daughters birthday party at the moment so yesterday she started looking through a book that has become an integral part of party planning in our house. As our children have got older their requests for birthday cakes seem to have become more elaborate so we purchased a copy of Cake Decorating at Home by Zoe Clark. I am sure many of you will have come across Zoe Clark’s designs before but in this book she shows the home baker how to create some amazing cakes. Having made her own wedding cake in 2005 Zoe Clark then turned her new love for baking and decorating into a new profession. Cake Decorating At Home showcases her designs perfectly but allows us to learn how to acheive the details in creating them. 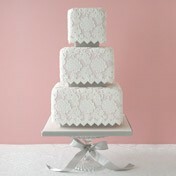 Each of the ten chapters have a central theme featuring a a main cake which is accompanied by two smaller, complementary designs. In the opening pages of the book we are provided with a list of utensils and equipment that will be required, followed by basic techniques for preparing cake tins to carving cakes, aswell as assembling tiered cakes and making a piping bag. After guiding us through the basics Zoe Clark then indulges us with basic cake and icing recipes to prepare us for the creating some delectable designs. 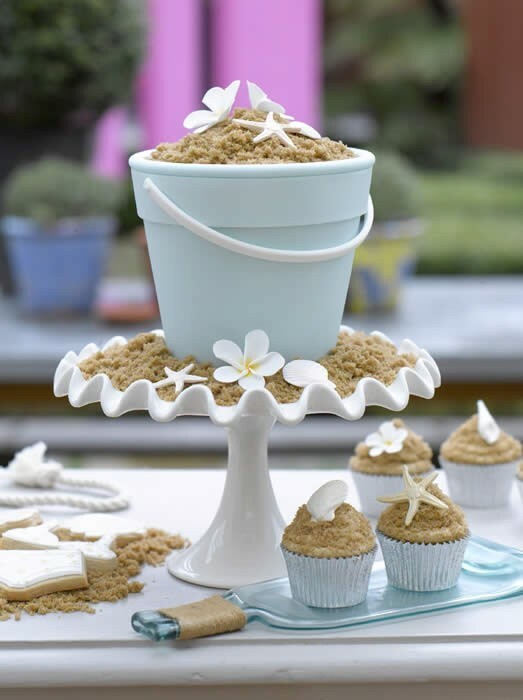 Now the fun begins as Zoe Clark shows us how to make beautiful cakes covered in daisies or patchwork, chocolate with streamers or edible sand. 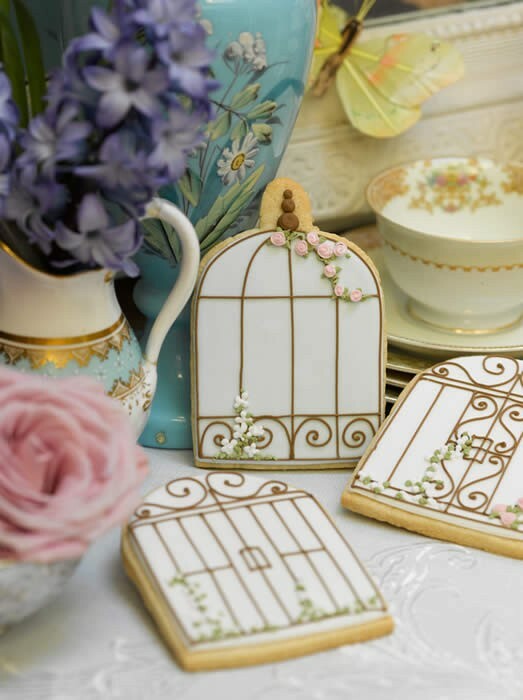 Aswell as providing us with a main cakes, cupcakes or minature cakes and cookies, Zoe Clark also includes a small section in each chapter with ideas to ‘Celebrate the Theme’. The designs in Cake Decorating At Home are up to date and offer beautiful cake designs that are on trend including a three tier wedding cake decorated with lace icing, a birdcage cake and cookies which are perfect for a vintage inspired celebration and a Mad Hatters Tea Party cake, which my husband made for our daughters tenth birthday. 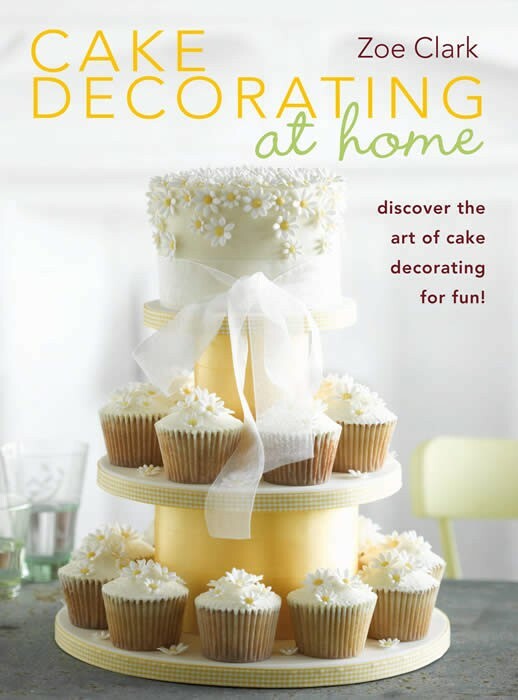 So whether you are a novice or more experienced baker and cake decorator I am sure there is a design for you in Cake Decorating At Home and as we share a great name I can only recommend this book even more! !